EXCLUSIVE! Some things really are written in stone, like the unconditional, lasting love you feel for that certain someone. 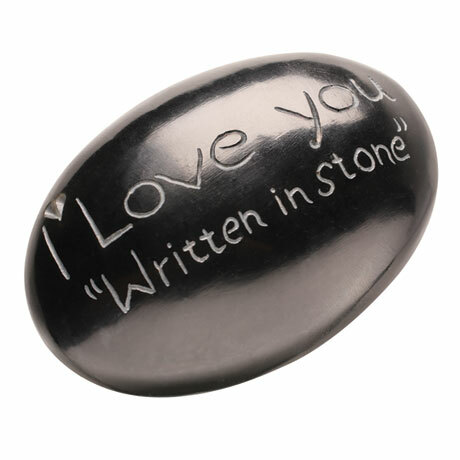 Carved soapstone, silky-smooth to the touch, this personal-sized token of your affection is a small forever treasure. About 3½" long.